Are you crazy about one of the most important cult films of the 1970s? So you can't wait to do your impersonation of Al Pacino? Then this is the tour for you! A tour of the stunning towns of Savoca, Forza d'Agrò and Taormina, famous for being the settings for some of the most memorable scenes of the The Godfather, but also some of the most beautiful historic towns in Sicily. 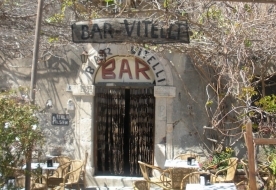 Leaving from Catania at 9.00, the first stop is Savoca, where we'll take a short walk through the streets of the town centre and visit the San Nicolò church where Apollonia and Michael Corleone get married, followed by a stop in the famous Bar Vitelli. The bar has remained almost exactly the same, frozen in the 1970s, and inside you'll find numerous references to the film. According to Francis Ford Coppola, this was the perfect location for filming his masterpiece. The next stop is Forza D’Agrò, a village nestled in the hills at 400m above sea level. Also here you'll see some of the little streets that feature in the film. 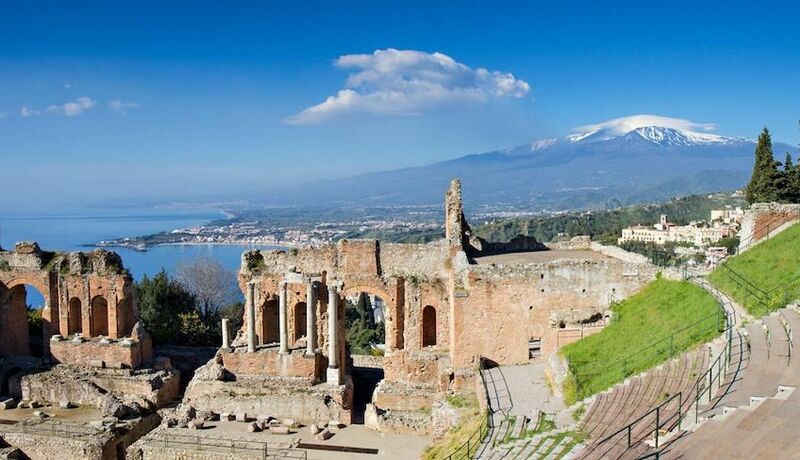 From its breathtaking viewpoint you can see the whole coastline stretching from Messina to Syracuse, and the imposing Mount Etna behind. After visiting the centre it's time to have some lunch (included) in a traditional local restaurant. 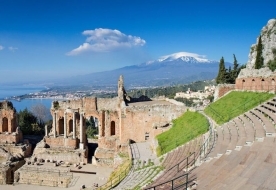 After lunch it's off to Taormina to admire its historic town centre of Baroque palaces and the medieval buildings of Corso Umberto, as the well as the narrow alleyways typical of the town. In the afternoon you will have some free time to visit the Greek ampitheatre (optional) and do some shopping, Return to your accommodation at around 17.00. This tour takes place in a minibus or MPV. Pick-up: included from your accommodation in Catania or the surrounding area. Takes place at 8.30. Guided tour from 9.00 to 18.00. 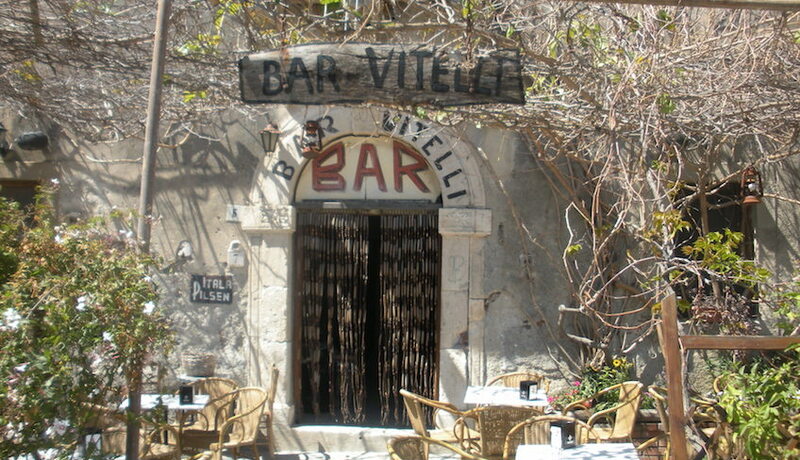 Typical Sicilian lunch at Forza d'Agrò (main and drink). Pick up from your accommodation in Catania or Acireale. Multilingual guide. Entrance ticket to the Greek theatre of Taormina. Free pick-up from your accommodation in Catania or surrounding areas. To make a reservation payment of the full amount is required. In the case of adverse weather conditions which do not allow for the carrying out of the tour, you will be able to arrange another date directly with the organiser. If another date is not possible, you will be reimbursed the amount already paid. If you cancel at least 24 hours before the beginning of the scheduled tour, there is a 50% cancellation fee. In the case of a No Show on the day, there will be no reimbursement.